The 2018 partypoker LIVE MILLIONS Russia poker festival kicked off on August 3rd at the Sochi Casino and Resort of Russia. Sochi has quickly become a go-to spot for poker gaming, with several top name poker brands hosting events in the region as well as poker tours. 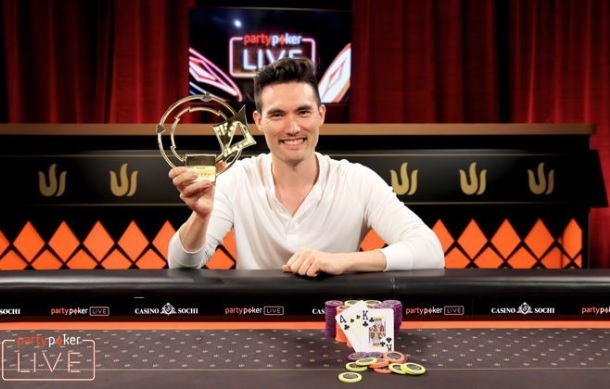 For the partypoker series, the group worked in conjunction with the Triton Super High Roller Series to host the second-most expensive tournament of the 2018 stop. A total of 47 players competed in the event, with Aymon Hata earning the first-place finish. The 2018 Triton Poker High Roller Sochi event had a buy-in of RUB3,000,000 ($50,000) and saw some of the biggest names in high stakes poker taking part. Registration for the event would stay open for the first three levels on Day 2. In the end, 47 players would compete, including top names like, Phil Ivey, Anatoly Filatov, Oleksii, Dietrich Fast, many more. The first to go from the final table would be Gruissem when he went up against Patrik Antonius with Ace-nine only to lose to Ace-jack. Phua would hold the chip lead by this point, but not for long. The poker pro would lose the majority of his chips to Antonius when his nines didn’t hold up to the competitor’s kings. Just a few minutes later, Phua would be eliminated. Next to go would be Patrik Antonius. The pro would post a three-bet holding pocket fives from the big blind. A snap-call was made by Vladimir Troyanovskiy who held pocket queens. The largest pot of the tournament was soon on the table and Aymon Hata would soon be on his way to the win. Antonius would check-raise all-in on a ten-high paired flop with two hearts and Hata would shove with ace-four suited for a nut flush draw. A heart on the turn gave Antonius one out and it did not come, sending the pro home in fourth place. Konstantin Uspenskii would be eliminated next, leaving Troyanovskiy and Hata to duke it out in heads-up play. Uspenskii would lose the majority of his chips early on with a bluff, losing to a full house of Hata. In the end, Hata would claim the title, winning with king-four suite against a jack-seven. Hata has been on a roll as of late, having earned a third-place finish during the $100,000 High Roller of the WSOP this year. He earned close to $1.25 million during the tournament. Speaking on his most recent win, the poker pro commented that the field was tough and he had some tough spots, getting lucky once with ace-jack against kings and from that point, things went really well. The partypoker LIVE MILLIONS Russia continues this week with the Main Event in full swing along with several other tournaments on the schedule including a High Roller event, the Russian Poker Championship, a Turbo Bounty, Pot Limit Omaha and Turbo Deep Stack. There are plenty of other online poker tournaments for players that missed out on the chance to play in the live events. Casino Sochi has played host to the series, located in the newest dedicated gambling zone of Russia. The complex is a five-star venue that opened in January of 2017 and is home to a very popular and busy poker room. Located near the Gorky Gorod ski resort, players can easily spend time on the slopes in between poker game play.